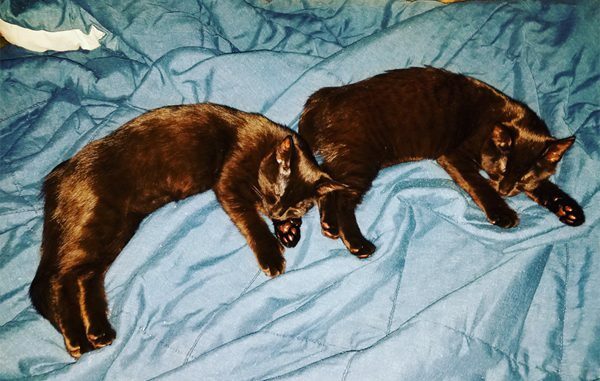 My black kittens Zuzu and Felix are now 4 months old. I’m grateful they are in our lives & growing healthy and strong! Today they’re celebrating Thanksgiving Day by forming a M for mischief. It’s what kittens do :).